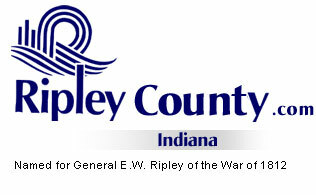 The Ripley County Council met on Monday, August 18th, 2008 at the Ripley County Annex in Versailles, Indiana. Dephane Smith, Council President called the meeting to order promptly at 7:00PM with the pledge of allegiance to the flag. Council Members Dephane Smith, Juanita Kaiser, David Simon, Ed Armbrecht, and Don Dunbar were in attendance. Ben Peetz and Mark Busching were unable to attend. Minutes from July meeting were put on hold till the September meeting, due to not enough present from last meeting to approve the minutes. Council Member Dunbar made a motion to take off the table the $22,500 Acct# 100-25700-000-007 County General for additional Garage & Motors expenses seconded by Council Member Armbrecht. Motion approved unanimously. After a short discussion Council Member Dunbar made a motion to table the $22,500 additional appropriation to the next meeting seconded by Council Member Armbrecht. Motion approved unanimously. Council Member Kaiser made a motion to approve the additional appropriation of $10,880.25 Acct# 308-49000-000-308 Equipment (to replace car) and $30,000 Acct#100-28200-000-014 Inmate Medical (to pay advance correctional health care, doctor, hospital & dental bills) seconded by Council Member Armbrecht. Motion approved unanimously. Council Member Dunbar made a motion to take off the table $3,066 Acct# 201-42153-000-027 Highway Department (purchase truck for park) seconded by Council Member Kaiser. Motion approved by four members (Dunbar, Simon, Kaiser and Smith) and one against (Armbrecht). Council Member Dunbar made a motion to approve the $3,066 Acct# 201-42153-000-027 Highway Department (to purchase truck) seconded by Council Member Kaiser. Motion approved unanimously. Council Member Dunbar made a motion to approve the additional appropriation of $31,163 Acct# 624-42153-000-000 RSRF/ Grant for chase vehicles seconded by Council Member Simon. Motion approved unanimously. Council Member Armbrecht made a motion to approve the additional appropriation of $3,500 Acct# 425-431000-000-050 Machinery (for purchase of 1992 Chevrolet 4-wheel drive pick-up-truck) seconded by Council Member Kaiser. Motion approved unanimously. Council Member Dunbar made a motion to approve additional appropriation of $2,500 (instead of the $4,550 advertised) Acct# 425-13300-000-050 Group Insurance (allocate insurance funds for remainder of 2008) seconded by Council Member Simon. Motion approved unanimously. Council Member Armbrecht made a motion to approve the additional appropriation of $4,000 Acct# 338-32420-000-000 Court Ordered Testing (implement court ordered testing) seconded by Council Member Dunbar. Motion approved unanimously. Council Member Dunbar made a motion to transfer $3,066 from Acct# 201-42153-000-027 Highway to Acct# 201-25700-000-027 Garage & Motors seconded by Council Member Kaiser. Motion approved unanimously. Donna McCool, Sunman, Indiana presented concerns to the Council Members on the Sunman Regional Sewer District. McCool requested that the Council Members withdraw the petition that had been signed by the Council Members. Attorney Comer presented a copy of the petition that had been signed by the Council Members. Council Member Armbrecht suggested that maybe the state pay for a feasibility study. Roger Lang, Sunman, Indiana advised the Council Members that he had presented the petition to the Council for application only. Attorney Comer advised that the petition does not mandate that they would have to hook up to the system. Council Members decided to leave the petition as presented. Traci Eggleston, Ripley County Department of Family Services presented an update on the financial situation for Family Services. Tom Grills, Ripley County Sheriff advised the Council Members that he would bring pension papers back to the Council Member; at the September meeting. Robert Reiners, Ripley County Commissioner advised the Council Members that due to the storms and bad weather in our county and surrounding counties, Lilly Foundation is giving several millions through the Indiana Funds. Indiana Association United Way of Indiana is handling the money for the counties that were declared a disaster. Ripley County is one of the declared counties and it is possible that we could get $100,000. The Financial committee met and it was decided that the phone system in Ripley County is in need of being replacement. Commissioner Reiners advised the Council Members that they would like to use approx. $45,000 of the money on a new phone system and apply for a grant for the rest. Vollet had gotten quotes of $86,000 / $120,000 for a complete new phone system. Reiners also advised that they would like to give approximately $4,000/$5,000 to the Fire Departments in the County. Commissioner Reiners requested that the Council give their support on this project. Council Member Kaiser made a motion to support this project for Ripley County seconded by Council Member Dunbar. Motion approved unanimously. Council Member Kraiser made a motion to move the 2009 budget hearing to Oct. 29th, 30th & 31st at 7:30AM seconded by Council Member Dunbar. Motion approved unanimously. Council Members will meet on September 3rd, 2008 for a public hearing on the budgets for 2009. Ed Gindling, Adams township trustee advised the Council Members that he is in favor of the Sunman Regional Sewer system and that it would not be a forced hook up. Ric Hertel, Traci Eggleston & Sarah Brichto presented a request to the Council Members for approximately $50,000 for start up funds from Ripley County for a Child Advocacy Center. Match dollars has been approved by Switzerland and Ohio County. Council Members decided that they would have to look and see if there is any money that can be given for this Project. Council Member Kraiser made a motion to adjourn until the next meeting on Monday, September 15th, 2008 seconded by Council Member Dunbar. Motion approved unanimously.